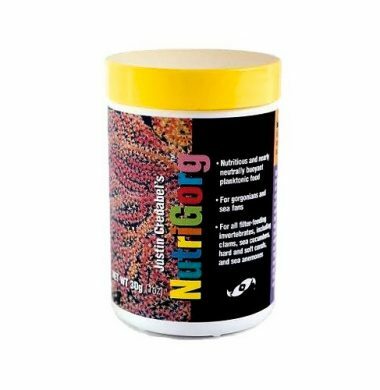 NutriGorg is a concentrated blend of several varieties of zooplankton designed to be the ideal food for raising and maintain all sea fans and gorgonians, whether photosynthetic or non-photosynthetic. Also an excellent food for all filter feeding invertebrates, such as soft & stony corals, anemones, feather duster worms, clams and tunicates. 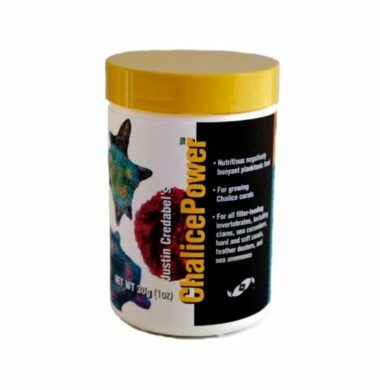 Two little fishes chalice power is suitable for the maintenance of all chalice corals and is negatively buoyant. 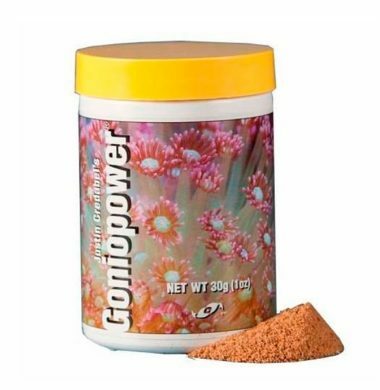 The product is mixed with a little water and pipetted onto the corals such as Echinopora, leptoseris, Oxypora,Echinophyllia, Mycedium,Pectinia but also useful for a great many more slow to feed coral species and those that require a finer particle.